Pure solid heavy commercial static dissipative vinyl top layer with hundreds of rigid molded anchors on full surface 1/8" solid vinyl underlayment to prevent slipping and sliding. 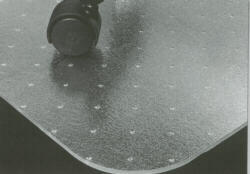 PolyStat Vinyl static-dissipative vinyl top available in several styles. Made of vinyl engineered for years of hard wear. Will not warp, curl, nick, chip, or shatter. Lifetime guarantee against cracking or chipping when used with rubber or plastic casters - Void if metal casters are used. Dual wheel plastic casters are recommended. Vinyl mats are in precut form are beveled on all sides. We start by providing a high grade standard matting selected for the pile height of your carpeting. If for use on ESD carpeting we provide grounding tabs that come into contact with the underside of the spike mat for subsequent grounding via your ESD flooring. 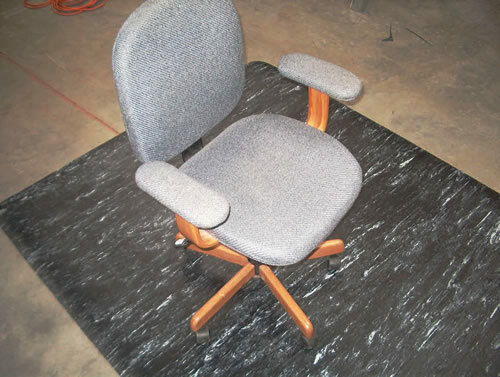 In the case of standard carpeting we forego these tabs and provide a military style ground snap attachment for subsequent attachment of cord- to-ground assembly. 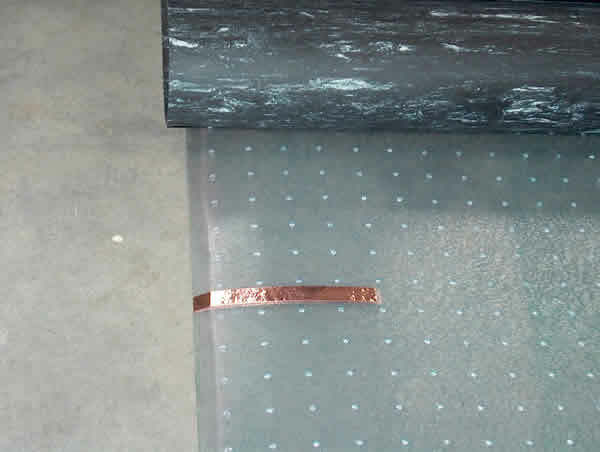 This cleated mat has had the selected material (black pure solid vinyl esd flooring roughed out, grounding straps applied and has been covered with our unique esd conductive releasable adhesive. All chairmats available in Polystat colors. Black/white color shown. Price includes cut to dealer/consumer specifications + or - 1/4". 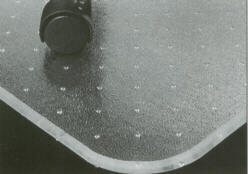 A beveled edge can be added to access edges of custom mats for a minimal upcharge. 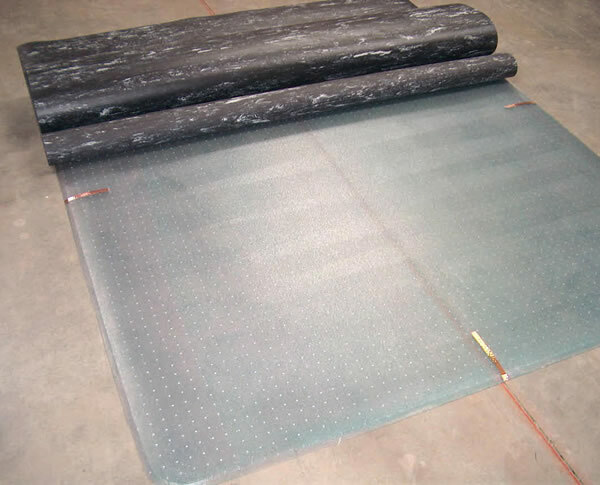 Mats can be rolled and individually packaged for U.P.S shipment if within weight requirements. Per customer specification, mats can be individually packaged flat and shipped L.T.L. motor freight. Large orders will be palletized and shipped flat. No Minimum on custom cut program.